Wing Chun Dynamics is as much a lifestyle as it is a Martial Art. This best summarises the approach of instructor Wayne Bullock. Training continuously for 14 years from his initial introduction to Master Dave Taylor, his dedication and a deep-rooted passion for the art along with its practices, principles and values have enabled him to build confidence and self-belief. In 2009 Wayne’s dedication to WCD and its syllabus led to him becoming a full time instructor, opening clubs in Bromsgrove and Oxford. Through his teaching he has achieved a deeper understanding of the system, enabling him to pass his knowledge onto his students and give them an ability to believe in themselves. Through his own continued daily practice, class training and focused private tuition, Wayne has developed a high level of knowledge and understanding, enabling him to use all aspects of the system in a practical way. His easy to understand teaching will make a student feel comfortably at ease in one of his classes, giving them the best opportunity to learn and express their own talents and abilities. 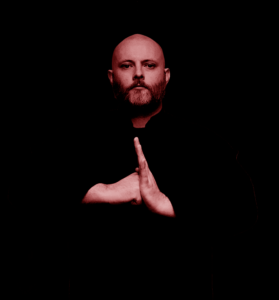 The introduction of Chi Kung training helped Wayne further his progress and understand the finer points of the art. Many arts fail their students by only focusing on fighting application; Wing Chun Dynamics is an exception to this rule, offering a complete physical and psychological platform for improvement in both training and daily life. Wayne takes great pride as his own students embrace this approach and improve their skills, a testament to the art and its founder. Away from the teaching and training, Wayne likes to spend time with his partner Emily and to indulge his love of watching movies by regular visits to the cinema to catch the latest film or attend a screening of a classic re-release.